Paul Hawken demonstrates that the answers to small business problems today cannot be solved by college degrees, training or money—but only by you. In this legendary business book and Silicon Valley staple, the former chairman and CEO (and employee number three) of Intel shares his perspective on how to build and run a company. The essential skill of creating and maintaining new businesses—the art of the entrepreneur—can be summed up in a single word: managing. Born of Grove’s experiences at one of America’s leading technology companies, High Output Management is equally appropriate for sales managers, accountants, consultants, and teachers, as well as CEOs and startup founders. Grove covers techniques for creating highly productive teams, demonstrating methods of motivation that lead to peak performance—throughout, High Output Management is a practical handbook for navigating real-life business scenarios and a powerful management manifesto with the ability to revolutionize the way we work. Lead By Greatness, written by leadership consultant, rabbi, and speaker, David Lapin, provides this new outlook. 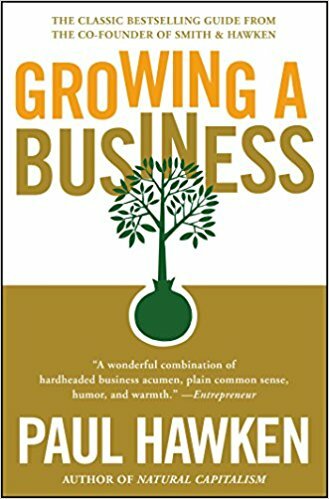 Lapin clearly describes the step-by-step methods with which his international clients have translated this leadership philosophy into unrivaled economic growth. Drawing both on ancient wisdom and cutting-edge strategic thinking, Lead By Greatness will help you think about opportunities in ways you never have... and your competitors never will. Since its original publication in 2000, Leadership and Self-Deception has become a word-of-mouth phenomenon. Its sales continue to increase year after year, and the book’s popularity has gone global, with editions now available in over twenty languages. Through a story everyone can relate to about a man facing challenges on the job and in his family, the authors expose the fascinating ways that we can blind ourselves to our true motivations and unwittingly sabotage the effectiveness of our own efforts to achieve success and increase happiness. Lean Analytics can help. By measuring and analyzing as you grow, you can validate whether a problem is real, find the right customers, and decide what to build, how to monetize it, and how to spread the word. Focusing on the One Metric That Matters to your business right now gives you the focus you need to move ahead--and the discipline to know when to change course. In this stressed-out, overworked age, Richard Branson gives us a new model: a dynamic, hardworking, successful entrepreneur who lives life to the fullest. Branson has written his own "rules" for success, creating a group of companies with a global presence, but no central headquarters, no management hierarchy, and minimal bureaucracy. Family, friends, fun, and adventure are equally important as business in his life. Losing My Virginity is a portrait of a productive, sane, balanced life, filled with rich and colorful stories.